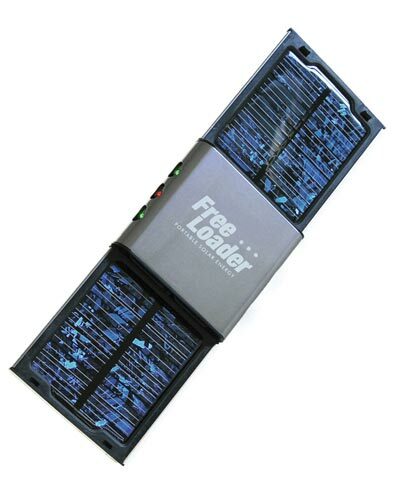 The FreeLoader 8.0 is a portable solar charger that can charge your iPhone and iPod touch as well as a bunch of other gadgets from digital cameras to portable games consoles. 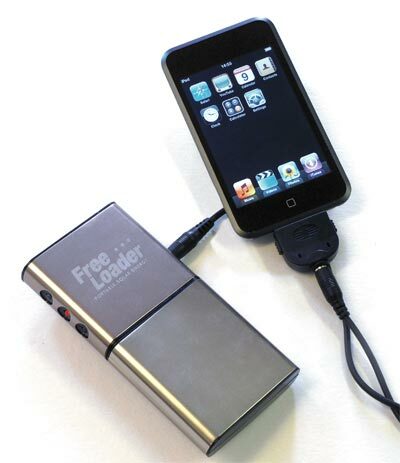 The FreeLoader 8.0 can power an iPod for an additional 18 hours, a PSP for 2.5 hours and a PDA for 22 hours from the internal rechargeable batteries. As well as being able to power you gadget, it can recharge itself whilst recharging your gadget, and it features extra sensitive solar panels to ensure it works in cloudy climates. The FreeLoader 8.0 comes in pink or silver and will be available for around £29.99 (about $60).